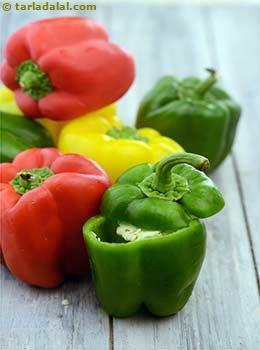 Popularly known as Shimla Mirch, Bell peppers comes in various forms with different colors. The glycemic index of bell peppers is estimated to be around 15. With very low carbohydrates of around 3.7 in a medium sized capsicum, the glycemic load is 1. It is a good source of vitamin C and improves metabolism. It also improves iron absorption. Is Capsicum safe for Diabetics? Carbohydrates is the most important form of energy. It majorly impacts the blood sugar levels. The key is to equally distribute the carbohydrates throughout the day. So that your blood sugar levels do not fluctuate. Try to inculcate lots of low GI vegetables in your diet which are generally low in calories, so that the balance is maintained. The glycemic load of bell peppers is very low which makes it a safe option for diabetics to include in their menu. Hence your blood glucose levels will remain stable. Combine your capsicum with other vegetables and eat it as a salad. It also has 2 grams of fiber in 1 medium sized capsicum which contributes in managing blood glucose levels. This is because the fiber remains undigested in the intestine and adds bulks to the food we eat, thus remain in the intestine for a longer period of time. It is rich in fat soluble Vitamin A which helps in improving your vision and reduces inflammation. Is Capsicum suitable for Weight Loss? A medium sized capsicum gives you only about 21 calories with 2 grams of fiber. Thus a great option to include bell peppers in your diet if you are looking to shed few kilos. You don’t have to worry if you happen to eat extra serving of capsicum, since it is exceptionally low in calories. The fiber content in capsicum helps you to feel full for a longer period of time. Thus regulates your appetite. Try to include capsicum in your calorie restricted diet in the form of salads to aid in weight loss. Have small and frequent meals, so that your metabolism remains boosted the entire day and you do not starve.